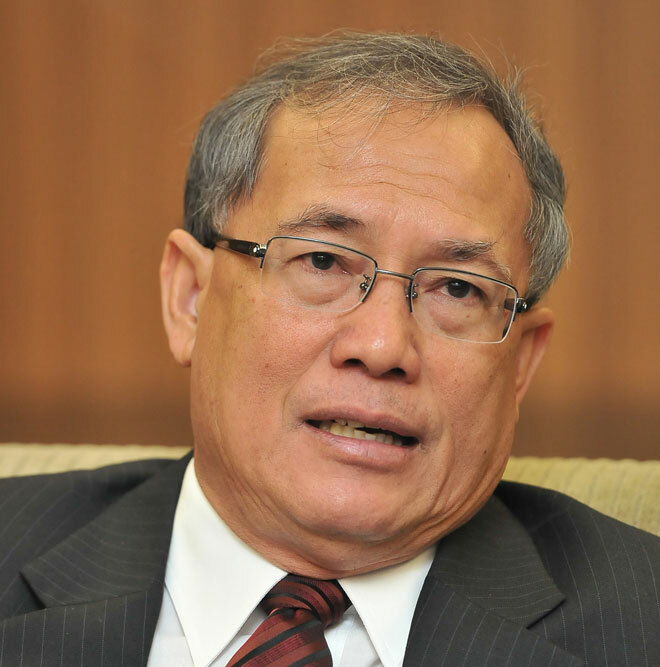 KUCHING: Six-term Serian MP Dato Sri Richard Riot Jaem is leaving his political future to the top Barisan Nasional (BN) leadership and his voters in Serian amidst uncertainties due to current political developments. “It is not for me to decide. It is for both the PM and DPM to decide whether to field me in the coming 14th General Elections. And of course if I’m fielded by the BN, it would be up to the people of Serian to vote for me or not. “As for me, I have been in active politics since 1990 and I have faced all sorts of challenges which are very common once we are in politics,” Riot told The Borneo Post here yesterday. The Minister of Human Resources has been embroiled in political uncertainties after his political secretary Major (retired) Datuk Peter Runin was nabbed by the Malaysian Anti-Corruption Commission (MACC) recently for embezzlement which involved RM40 million. And news from the grapevine indicated that there was a leaked document from an intelligence agency which had been circulated around that Riot would not be fielded. This has triggered at least six individuals to show their interest and go to the ground to lobby for the seat as BN candidate. Among the six, four are PhD holders,namely Dr Jerry Clarence in his 50s from Kampung Bunga; Associate Professor Dr Novel Lindon, 42, from Kampung Krait; Dr Alim Impira, in his 50s and a high ranking Customs Department officer; Dr Ambrose Dango, in his 50s from Kampung Pulau Pranuk; a secondary school teacher Joseph Tiam in his 50s and Batu Lintang Teachers Training Institute senior lecturer Charlie Ungang, 54. When contacted, Charlie said as a Dayak Bidayuh National Association (DBNA) deputy president, he has been on the ground for a long time assisting the whole community from Lundu, Bau and Serian to document their native customary rights (NCR) land. “We have been on the ground to assist our community to document our NCR land. So there is no truth that we are politically driven. “The speculation floating in Serian now is news to me. But nevertheless, as a second echelon leader, I’m willing to take the challenge if given the chance by the BN,” said Charlie. On the opposite end, Edward Andrew Luwak of DAP has confirmed earlier on that he will contest while Sarawak Iban Remun Association (Sira) president Elli Luntai, a teacher in his 50s, has also been speculated to be keen to contest, perhaps as an Independent as Serian is one of the three Bidayuh-majority parliamentary constituencies in the state . The other two are Puncak Borneo and Mas Gading. Serian parliamentary constituency covers three state seats; namely Tebedu, Bukit Semuja and Kedup, which are all under PBB. Bukit Semuja assemblyman John Ilus said he was surprised by the latest twist of events but affirmed that PBB would fully support whoever BN fielded. “But insofar as we are concerned, Dato Sri Richard Riot is as popular as ever. So if he’s fielded, I am confident that he can still defend the seat,” said John. Meanwhile, at press time, SUPP president Datuk Dr Sim Kui Hian could not be reached for comments. In the last general election, Riot, who is also SUPP deputy president, was the only candidate from the party who survived the onslaught of the opposition in seven seats it contested. Riot polled a massive 13,427 vote-majority in a three-cornered fight against Edward and the late Johnny Aput of STAR. Serian has some 33,764 registered voters.